Archbishop Carlo Maria Viganò, the former Vatican ambassador (apostolic nuncio) to the United States, made unsubstantiated claims last weekend in his 11-page “Testimony” that Pope Francis and not a few American cardinals and archbishops protected Cardinal Theodore McCarrick, the former archbishop of Washington, through the years. Pope Francis accepted McCarrick’s resignation from the College of Cardinals in July and ordered him to a “life of prayer and penance” following allegations that the cardinal sexually abused minors and adult seminarians over the course of decades. It could be said that this long-simmering culture war within the Catholic Church became open warfare when four semi-retired conservative cardinals publicly questioned Pope Francis’s teachings on family life in an open letter during the 2015 Synod of Bishops. In early 2017, NPQ reported on “Poverty, Immigration, Climate Change: It’s Trumpism vs. the Pope, Fake News and All.” This battle has been building. Pope Francis responded to Viganò’s threatening letter by saying, “Read the statement carefully and make your own judgment. I will not say a single word about this. I believe the statement speaks for itself. And you have the journalistic capacity to draw your own conclusions. It’s an act of faith. When some time passes and you have drawn your conclusions, I may speak. But, I would like your professional maturity to do the work for you. 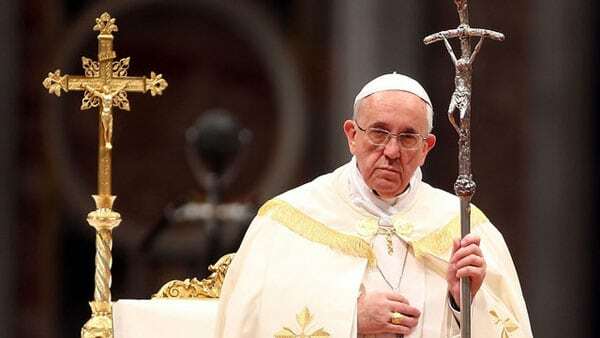 It will be good for you.” Many observers believe that the intensity of this latest attack will not permit Pope Francis the time he hopes he has to wait for the media’s assessment. For some, Catholic Church leaders demonstrate outrage and remorse over the wrong issues while ignoring the damning abominations and opportunities to end them. As NPQ has analyzed innumerable times about wayward boards of directors destroying the nonprofits they are tasked to lead, when an institution serves itself rather than its mission, it often destroys what it ostensibly seeks to defend. Culture wars exploit our discontents and the task of civil society is to heal them. While individuals try to create new forms of community and new ways of transmitting old values, within his diocese a Catholic bishop is close to a sovereign lord. Short of the Pope himself, there is no one who can challenge him for leadership or power. What concerns NPQ is that quite apart from any moral or spiritual influence, even the slightest shifting of priorities and viewpoint of a bishop can send shock waves through both the church and the community. Catholic hospitals and schools are just two concerns.